This evening brings a light, yet very important topic- school attire! Look away male teachers, for I can be of no assistance to you on this front! Ladies, what to wear in a primary school setting? It is a struggle! Our job is a profession- so we should dress accordingly. Yet, given that we are working with children we also need to be comfortable- and comfort and style don’t always go hand in hand! There is a fine thread like line between wearing a pencil skirt and heels as other professionals can , and using glue sticks and hanging up posters and bending up and down to those tiny tables as we do every day! In an average day we could be using paint in art, food colouring in science and God knows what else! On Friday for example, I ruined a pair of jeans I was quite fond of during a science experiment. I got food colouring all over them and it won’t come out. In order of importance I would go comfort, professionalism and then style. I guess a lot of it depends on your school. I know some schools have a dress code and don’t allow jeans, whereas other schools are very casual. My outfits generally depend on the amount of time I have in the morning, and of course whether I am on yard. I do wear heels almost every day as I am just a fraction too short for my liking- but nothing a pair of heeled boots won’t fix! 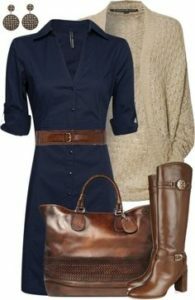 I can easily pass an hour swooning over autumnal outfits on pinterest. 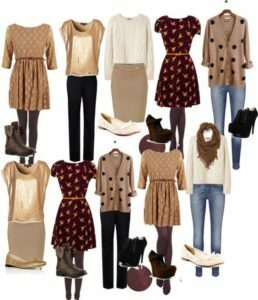 Here are some gorgeous outfits which you may like for school. I personally don’t like to wear my good clothes to school as they tend to get wrecked! I have three sections in my wardrobe. ‘Good’ clothes for the weekend, ‘medium-good’ clothes for school, and ‘casual shouldn’t be caught dead in’ clothes which I change into as soon as I get home and walk Sonny in. I just love winter clothes- cozy blanket scarves, boots, hats, chunky knit jumpers! Oh it is just the best. Now, I think I could give So Sue Me a run for her money!